“… beginner’s mind is what we must come back to every time we sit down and write. There is no security, no assurance that because we wrote something good two months ago, we will do it again. Actually, every time we begin, we wonder how we ever did it before. Each time is a new journey with no maps.” — Natalie Goldberg, Writing Down the Bones. I’m shifting gears for this post to participate in a blog tour called “My Writing Process,” at the invitation of blogger extraordinaire, Marci Rich. (#mywritingprocess) I first met Marci at the 2012 James River Writers’ Conference in Richmond, VA where she inspired me to launch my blog on art, dance, and design. Since then I’ve enjoyed her “Midlife Second Wife” blog – and so will you: http://www.themidlifesecondwife.com. If Natalie Goldberg is right and there are no maps for this crazy process known as writing, there are at least some sign posts, rest stops, and cairns that other pilgrims have left along the way. 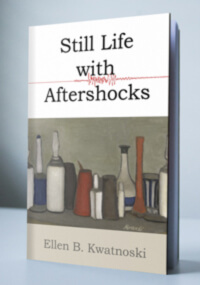 I’ve just finished an overhaul of my debut novel, Still Life with Aftershocks. The newest version starts a couple of years earlier than the preceding draft. Readers now meet my two protagonists when they are (relatively) happy and healthy and living their normal lives. The event that, early on, shatters their lives has not yet happened. I’m hoping that readers, having known these characters a bit longer, will sympathize with them more deeply. What has amazed me about this last draft is how the material I’ve been working on for many years feels fresh and new and exciting. Well, this is a tricky one, since I have no idea what genre I write. It would be easier to say that I write paranormal romance with dystopian overtones, but nope, not me. I suspect my work straddles the line between literary and commercial fiction. I enjoy writing stories in which things happen: people go to work, do the laundry, use the john, get in trouble, go to bed with the wrong people, truss a turkey. So I probably don’t fall into strictly literary territory. I like plot too much. But my true métier is the emotional landscape in which my characters operate, how they grow, change, persevere, survive, and triumph–or not. I’m fascinated by hidden motivations, secrets, obsessions, creative expression, and food. See above for part of the answer. What I write reflects where I want to dwell. Can love be found in this cynical world in which we are all in some way damaged goods? Can we break free of the past and chart a new course, a course that will allow us to find the meaning we seek in life? At the same time, I want to tease out the humor lurking in the darkest aspects of life’s travails. First of all: I try to show up every day. Carolyn See, in her lovely and nurturing book, Making a Literary Life: Advice for Writers and Other Dreamers, recommends writing 1,000 words a day when you’re in the heat of a first draft, or for three hours a day if you’re revising. For the most part, this works for me. At times, I’ll get swept up and not be able to stop after three hours or 1,000 words, but this isn’t the norm. Usually I’ll just run out of gas and realize I need to stop. Secondly, I try to read every day. To paraphrase Yogi Berra, you can learn a lot just by reading. At one point in my career, I had to stop writing because my time at my day job ballooned and sucked all the air out of my motivation to create. What saved me was that I didn’t stop reading and once I was writing again, I seemed to have gotten better at it. Stephen King writes in the morning and reads in the afternoon. Works for me. I am at heart a “pantser” when it comes to outlining, as in seat of the pants. Let it rip, throw off the shackles, go for it, and then see where you are with respect to plot. Having said that, for the next novel I’m going to spend more time up-front, crafting the story, learning its twists and turns, braiding together the plot lines, developing characters, before I put my eager little fingers on those keys. I think I’ll save myself a lot of grief and time. Hard to cut those babies when they’re alive and breathing on the page. In my experience, dialogue grows out of the characters’ interaction and the events they get caught up in, although for dialogue to sound natural, it has to be distilled from the way people really talk. Like, radically distilled. When first conceiving a character, I create a “character chart” that outlines how the character looks, what he wears, what movies she loves, books he reads, and so on. This exercise can be very helpful in teasing out motive, and I return to the charts from time to time to make sure I stay true to their natures. At times I add to the chart as the character becomes more fully formed in my mind. I like a traditional three-act structure. Within that structure, I tend to think in scenes, all moving the story forward, or falling to the knife. As the plot takes shape, scenes written on index cards or some other flexible medium, can be moved around at will. There are several apps out there, so I hear, that can help you do the same thing. Maybe others on the tour will have had experience with them. How do we decide what to write? “Write what you know,” has come under fire these days. There’s such a thing as being too close to your subject. 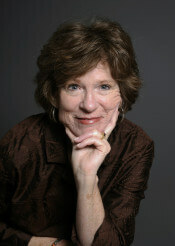 Carolyn See says, “Don’t write what you know; write what you care about.” David L. Robbins, the author of many successful thrillers, says, “Write what you learn.” I don’t worry about “themes” as such, finding that if I set the action in motion themes appear and deepen as I plow through the revisions. With each one I find more ideas that infuse the story. I knew I was writing about thwarted love, abuse of power, coming of age, class struggle, but didn’t know I was writing about spiritual growth, redemption, or indomitable spirit. If you start out thinking you’re going to write about lofty themes such as those, I suspect you’ll seem preachy, or worse, boring. Kris Spisak is a writer, editor, and founder of K. S. Writing, a company designed to bolster the literary community by connecting professional creative writers with businesses in need of their communication skills. When she’s not writing small business blogs or ecommerce copy, she is attempting to save the world one comma splice at a time on her Wednesday Writing Tips blog. Her first novel explores abortions, eugenics, and the life of a young women caught somewhere in between. Linda Ensign writes fiction (mystery, fantasy, and science fiction) and poetry. She reads voraciously but piles of textbooks and scholarly articles have sidelined the pile of fiction and non-fiction books waiting to be read as she whizzes towards her Masters degree. She manages, and is a regular contributor to, the Mostly Mystery group blog where five mystery writers provide glimpses inside the mostly sane world of mystery writing. Her official website isLindaEnsign.com. Linda was a techno-maven long before the word geek entered popular vocabulary, and now runs her own software development company,Yellow Hare Inc.
American Cool – Do You Qualify?